Born and raised in Detroit, Don is a Michigan State undergrad and received his Masters from University of Detroit. After school, Don accumulated a wealth of corporate and executive recruitment experience with core competencies including: executive search, sales, business development, marketing, advertising, merchandising, product development, general management, and organizational leadership. “Enhancing careers and improving bottom lines” is the framework of Don’s business. Don is a versatile, goal oriented person, driven by contributing to the success of organizations and people. Specializing in Automotive, General Management, and Life Sciences practices, Don is committed to identifying and recruiting hard-to-find and difficult-to-hire winners and game changers on behalf of companies seeking to “raise the bar” of their performance and culture. 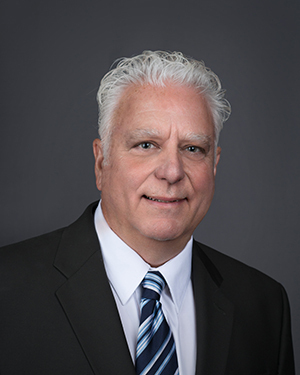 People have said that Don is a loyal and reliable business partner with highly effective communication and problem solving skills that lead to winning results. Don has been married to Cheryl for 36 years. They have two sons, one in Laguna Beach, CA and another son in New York City. Don is an avid baseball and hockey player and coach and is passionate about family, friends, music, Detroit sports teams and all things Michigan State. In his spare time, you’ll likely find Don playing sports, working in the yard, traveling to take in nature’s wonders, on the water somewhere, reading a good book, or hangin’ with Cheryl.